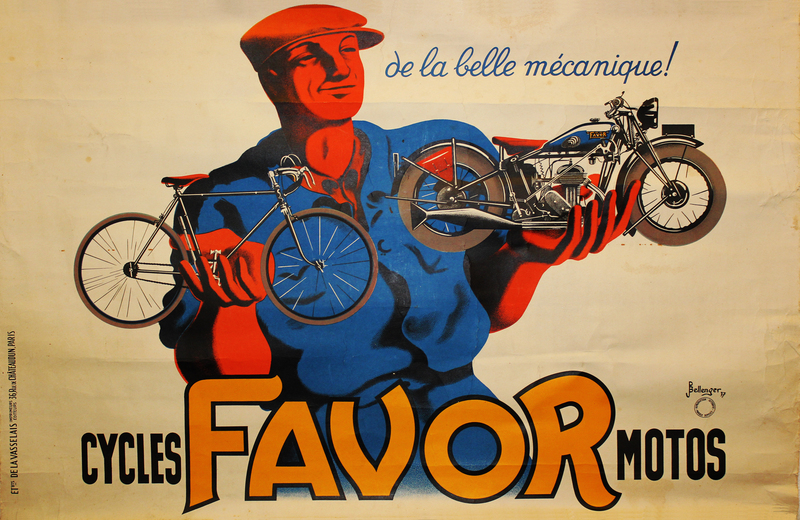 This is a 1937 Favor Cycles poster from France I just acquired from a dealer in France. It measures 15″ x 23.5″ and has metal borders on the top and bottom with a metal loop for hanging. I have seen this poster in several sizes, including a large 6′ x 4′ version. It was designed by Bellenger, who designed many French posters of that period.